Gamma oscillations in the brain are periodic fluctuations (30-80 Hz) of neurons’ activity and of the electrical potentials generated by neural circuits. They are detectable both in individual neuronal discharges, at the level of a single neuron, and from local field potentials, or from outside the skull, in the EEG. Research in the past three decades has associated such oscillations with the brain states that support visual and olfactory perception, engagement in demanding cognitive tasks, and immersion in deep meditation. Gamma oscillations are also impaired or disrupted in brain disorders, such as Schizophrenia, autism, Alzheimer’s or Parkinson’s disease. They are considered to represent an internal clock of the brain, which organizes activity of neurons and contributes to active information exchange among different brain areas. In spite of their apparent importance, the mechanisms that underlie gamma oscillation generation are still poorly understood. 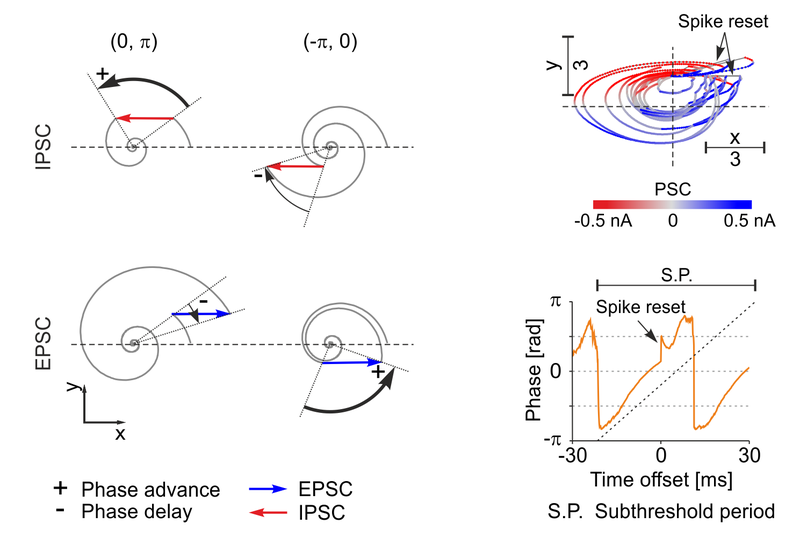 Vasile V. Moca and Raul C. Mureșan, in collaboration with two German scientists, have recently shown that a property of inhibitory neurons in the brain may hold the key to the emergence of robust and stable gamma oscillations. Many classes of inhibitory neurons exhibit a so-called membrane resonance, which makes them act as stings of a guitar: they vibrate most at a preferred frequency. Importantly, inhibitory neurons in the cortex vibrate in the gamma frequency range. In a study published in Cerebral Cortex, one of the most important systems neuroscience journals, RIST’s scientists have shown that resonance expressed in inhibitory neurons contributes greatly to the generation of gamma oscillations. 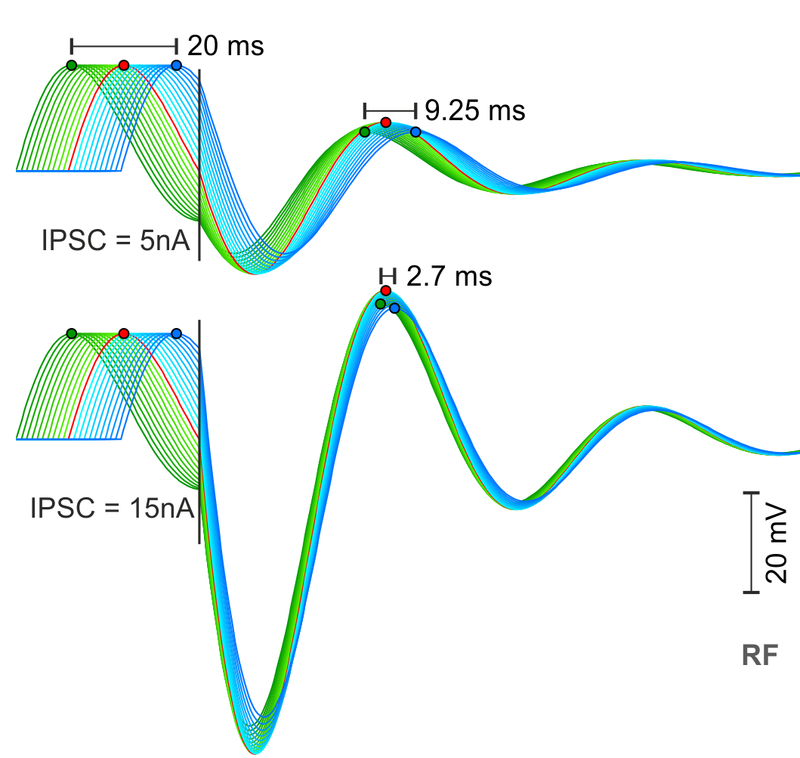 Resonance also controls their properties: frequency, power, dependence on input, robustness to perturbation, and relative timing of the firing of excitatory and inhibitory neurons. In other words, membrane resonance has the capacity to generate a true internal clock in the brain. Moca V.V., Nikolic D., Singer W., Mureșan R.C. 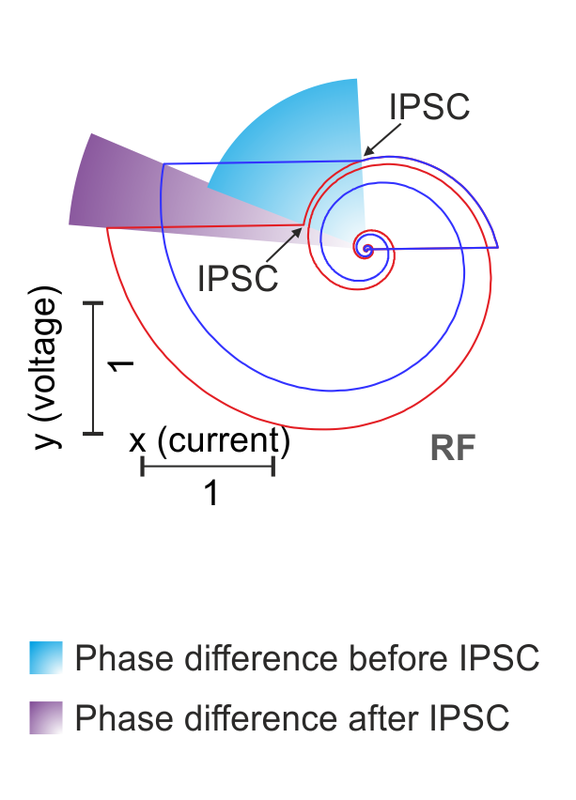 (2014), Membrane resonance enables stable and robust gamma oscillations. Cerebral Cortex 24(1):119-142. 5 postdoc positions and 4 research assistant / software developer position, in machine learning / deep learning, are currently open in our institute. More information. Want to support science? If you live in Romania, you may forward to RIST 2% of the revenue tax you already paid.